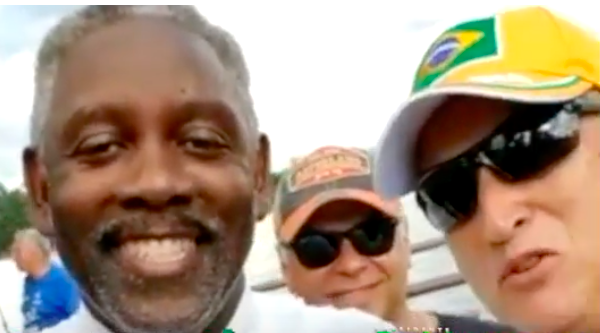 Orange County Sheriff and Mayor-elect Jerry Demings (left) at a rally in Orlando last week for controversial Brazilian presidential candidate Jair Bolsonaro, posing with expat Bolsonaro supporters. 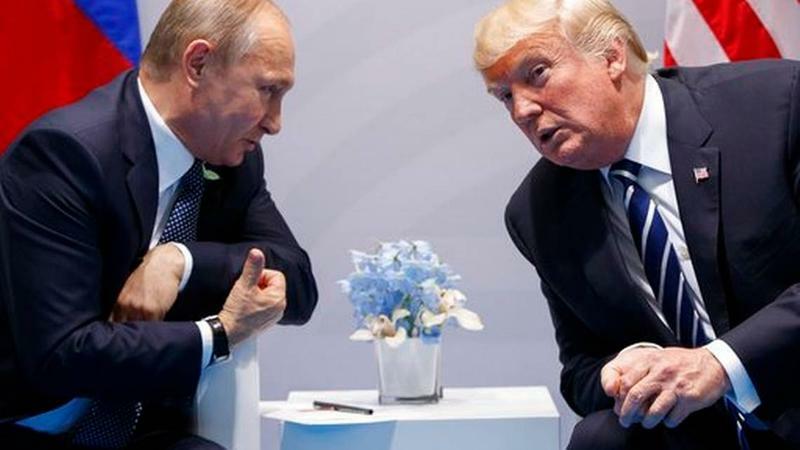 “I understand that you have a little bit of an election coming soon for your next president," Orange County Sheriff Jerry Demings told a cheering crowd of Brazilians as he stepped onto a stage in Orlando last week. 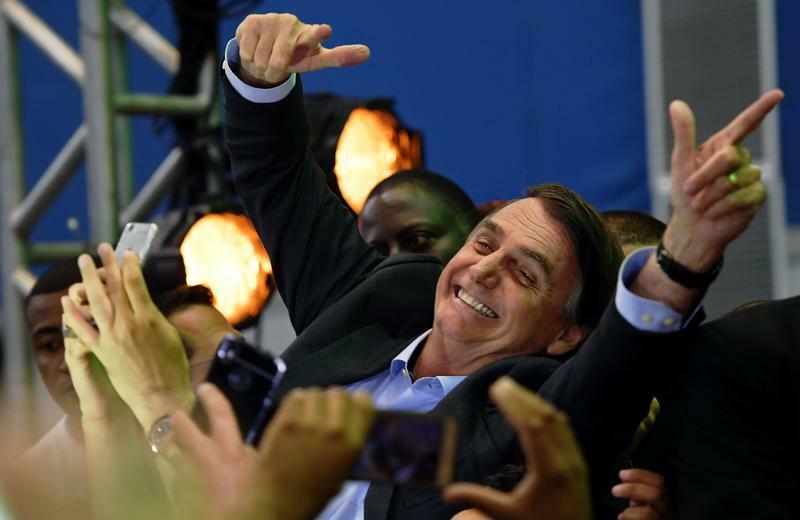 The event was a rally for Brazilian presidential candidate Jair Bolsonaro, who is the leading contender in Brazil’s election on Sunday. (He is recovering after being stabbed with a knife by an attacker this month.) And Demings’ appearance signaled a growing political trend among expats in Florida. Many of them cast votes here for elections back in their home countries. So they sometimes like to get respected Florida politicians to endorse their favorite candidates as a way to influence other expat voters. And Florida politicos are often glad to do it because it helps them bond with expat communities. 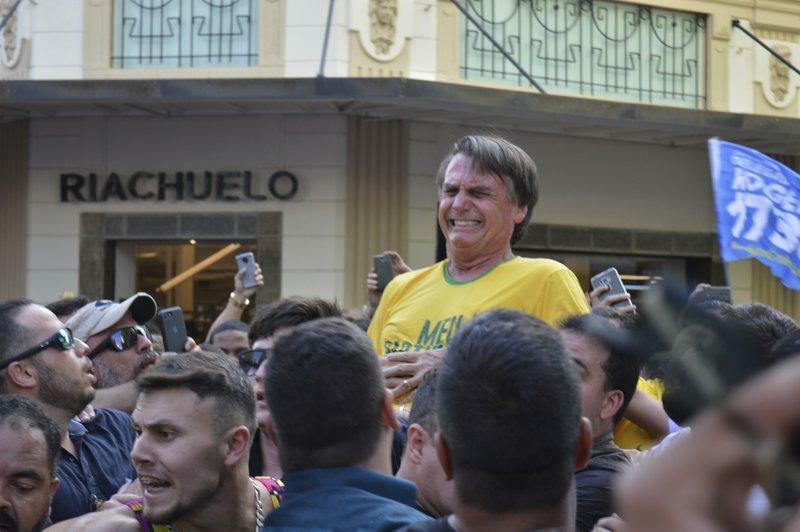 Jair Bolsonaro, a leading presidential candidate whose heated rhetoric has electrified some voters and angered others in a deeply polarized Brazil, was stabbed at a campaign event Thursday and suffered serious abdominal injuries.